Texas Special Exceptions Litigation Attorneys - Oberheiden, P.C. Introduction. A common response to a petition in Texas state courts is to file “special exceptions,” claiming that the petition cannot be answered unless it is amended and clarified. To be sure, if you have been sued, but honestly cannot determine what you are alleged to have done or when you are alleged to have done it, a special exception is the proper way to ask the judge to require the plaintiff to provide the necessary information for you to properly answer the petition. Additionally, there are some required elements that every petition must contain; if one of these is missing, a special exception is the proper way to point it out. For example, under Rule 47 of the Texas Rules of Civil Procedure, a plaintiff must plead the amount of damages he is seeking within one of five ranges. If he has failed to do so, you should file a special exception seeking this information. Strategic Use. On the other hand, some defendants use the special exceptions procedure to seek information to which they are not entitled by this method, or to claim that a valid petition is insufficient for not setting out every detail and fact backing up the plaintiff’s claim. The defendant may be hoping to force the plaintiff to reveal her legal strategy and evidence at this early stage of the case. Case Law. These types of arguments are inappropriate in a special exception, and may be defeated by reminding the court that plaintiff’s petition need only satisfy a notice pleading standard. See Roark v. Allen, 633 S.W.2d 804, 810 (Tex. 1982) (“A petition is sufficient if it gives fair and adequate notice of the facts upon which the pleader bases his claim. The purpose of this rule is to give the opposing party information sufficient to enable him to present a defense.”). Additionally, filing an amended petition to address any of the defendant’s arguments that might be valid moots the special exceptions and will force the defendant to respond to the more recent, amended petition with either an answer or a renewed special exception. See Wang v. Univ. of Tex. at Austin, No. 04-13-00065-CV, 2013 Tex. App. LEXIS 12507 at *6 (Tex. App.–San Antonio Oct. 9, 2013, no pet. hist.) (amended petition mooted special exceptions). We are a team of former prosecutors and experienced trial attorneys that serve clients in federal litigation across the country. Among many other courts, we handle complex healthcare and business litigation for clients in New York, Florida, Louisiana, Texas, and Washington D.C. with our combined experienced of close to 300 trials personally handled throughout our careers. 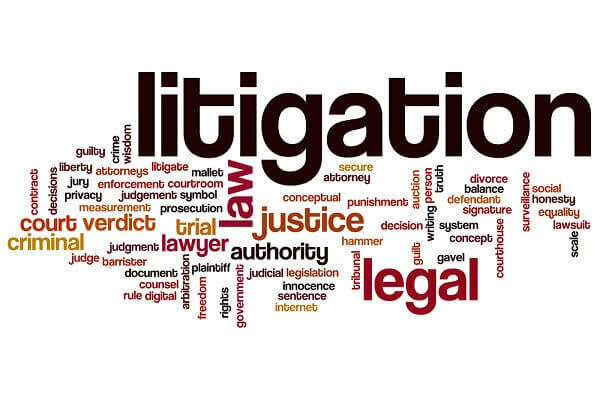 Clients interested in learning more about our civil litigation practice should contact one of our attorneys directly to find out how we can help resolve your litigation dispute. If you have questions about Texas jurisdiction or face challenges regarding personal jurisdiction in Texas courts, you should contact the experienced attorneys at Oberheiden, P.C.. Get a free and confidential consultation and benefit from talking to our trial attorneys and former federal and state prosecutors.